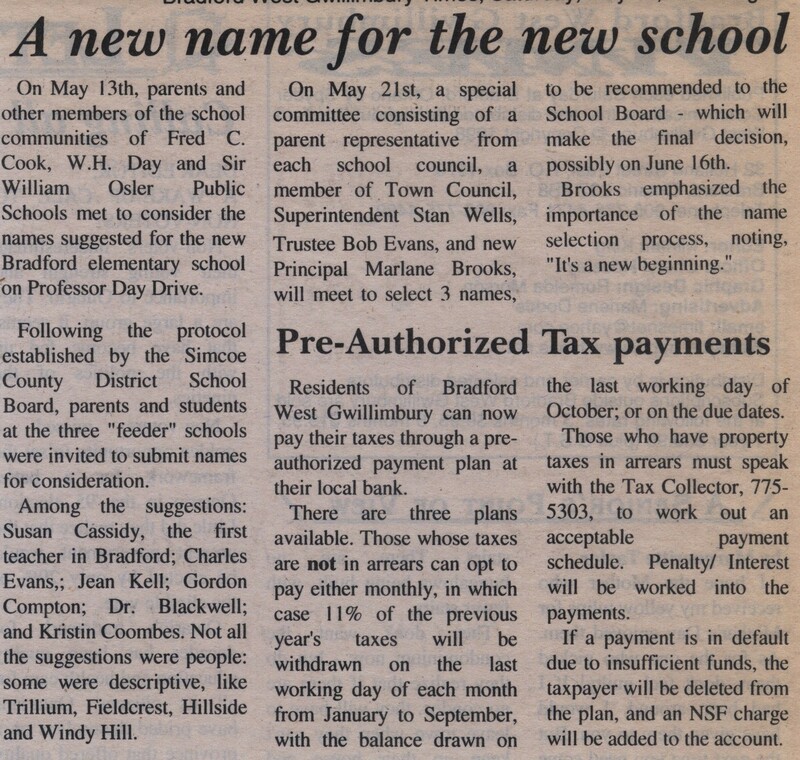 On May 13th, parents and other members of the school communities of Fred C. Cook, W.H. Day and Sir William Osler Public Schools met to consider the names suggested for the new Bradford elementary school on Professor Day Drive. Following the protocol established by the Simcoe County District School Board, parents and students at the three "feeder" schools were invited to submit names for consideration. 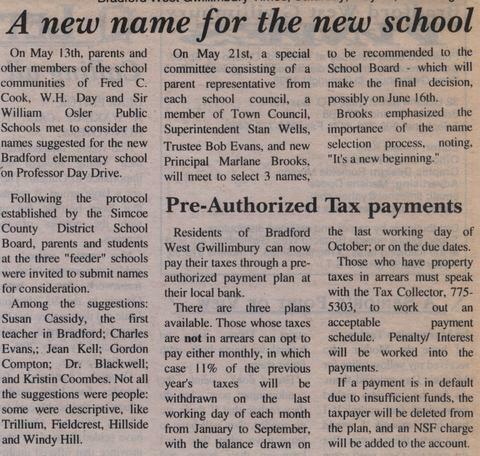 Among the suggestions: Susan Cassidy, the first teacher in Bradford; Charles Evans,; Jean Kell; Gordon Compton; Dr. Blackwell; and Kristin Coombes. Not all the suggestions were people: some were descriptive, like Trillium, Fieldcrest, Hillside and Windy Hill. On May 21st, a special committee consisting of a parent representative from each school council, a member of the Town Council, Superintendent Stan Wells, Trustee Bob Evans, and new Principal Marlane Brooks, will meet to select 3 names, to be recommended to the School Board - which will make the final decision, possibly on June 16th. Brooks emphasized the importance of the name selection process, noting, "It's a new beginning."